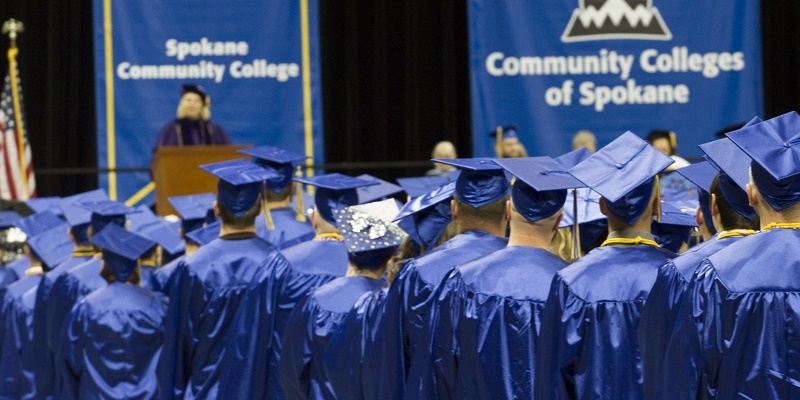 Spokane Community College (SCC) helps students build a strong foundation for a future of academic, personal and professional success. In addition to our vast selection of courses and programs, SCC also provides opportunities and support for students on campus and in the community. Although SCC doesn’t offer campus housing, there are many safe and affordable housing options in and around Spokane. In order to help you make an informed decision, we’ve compiled some resources to help guide you in your search. The Student Funded Programs Office keeps an updated list of shared housing opportunities, including people seeking roommates. Contact them at: 509-533-3553. Community Colleges of Spokane (CCS) provides this information for your convenience only and does not own or operate the housing options listed. Students are responsible for verifying the appropriateness of housing and selecting the housing option that meets their individual needs. In no event shall CCS be liable for any damages resulting from the provision of this information on student housing. Spokane has something for everyone, from nightlife to natural attractions. There are three major malls, an international airport, movie theaters, art and history museums, cafes, restaurants, bars, art galleries, sports stadiums, live music venues, and several gorgeous city and state parks. The city is also home to numerous companies and organizations, many of which collaborate with Community Colleges of Spokane to provide students and alumni employment and internship opportunities. Spokane is the second-most populous city in Washington state, next to Seattle. It is the largest city between Minneapolis and Seattle. The Inland Northwest has four distinct seasons with warm summers and snowy winters. The city is also known as The Lilac City and there is an annual downtown Lilac/Armed Forces Day parade. The Spokane Falls is the second-largest urban waterfall in the United States. Spokane is home to two major sporting events: Bloomsday in May and Hoopfest in June. Whether you’re looking for a job to support yourself or to finance your education, we have the resources to help you succeed. In addition, students and alumni can access our online Career Services resource portal, which contains resume building and interview preparation materials as well as a list of current job openings. CCS also provides Work Study opportunities for students who meet financial eligibility requirements. Studies show students who participate in extracurricular activities have greater success in class and beyond. Getting involved on campus provides opportunities for networking, leadership development, academic and professional growth, and making new friends. At SCC you’ll find a broad selection of opportunities to get involved on campus and in the community. Nearly every day of the week, the SCC campus is abuzz with activity, including special events, concerts, sports matches, and multicultural programs. The campus also has its own recreational facility, the Lair, where students can gather to grab a bite at the Bigfoot Café, attend events, study and collaborate, or just hang out. You can even get a haircut at the Inspiration Salon or go bowling in the bowling alley. In addition, the campus contains a fitness center with a pool, weights, and cardio equipment, as well as sports facilities which support intramural sports and the district’s intercollegiate sports program. Students can also explore a variety of interests via student groups and organizations.